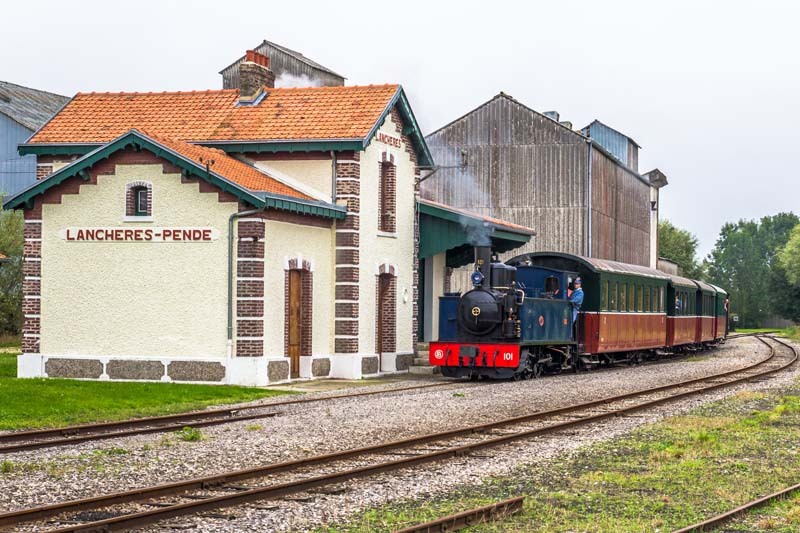 Pinguely No 2 pulls into Lanchères Pendé staion with the 1645 from Cayeux sur Mer. 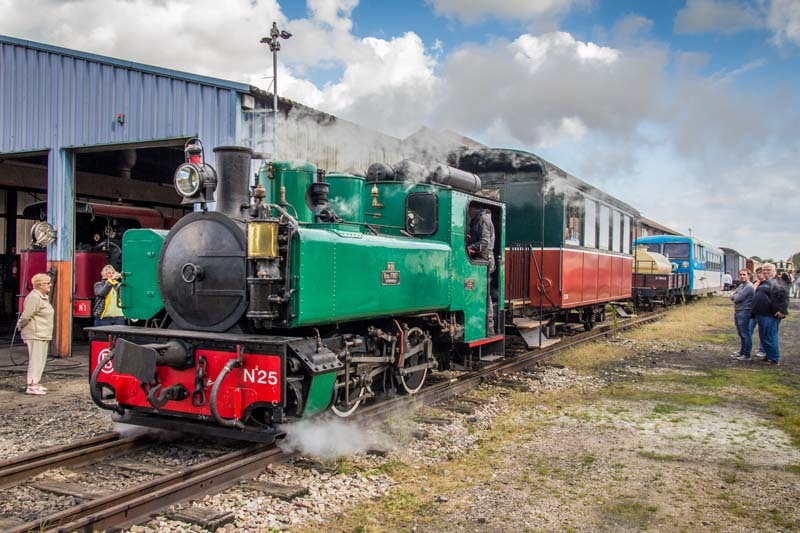 Shortly afterwards No 2 brings the mixed train into the stations loop. 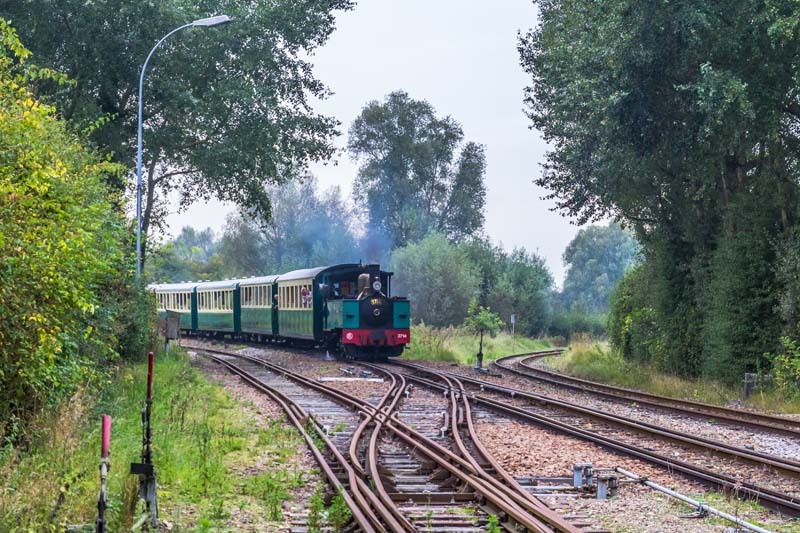 line from St. Valery sur Somme, on left is dual gauge: metre gauge and standard gauge. 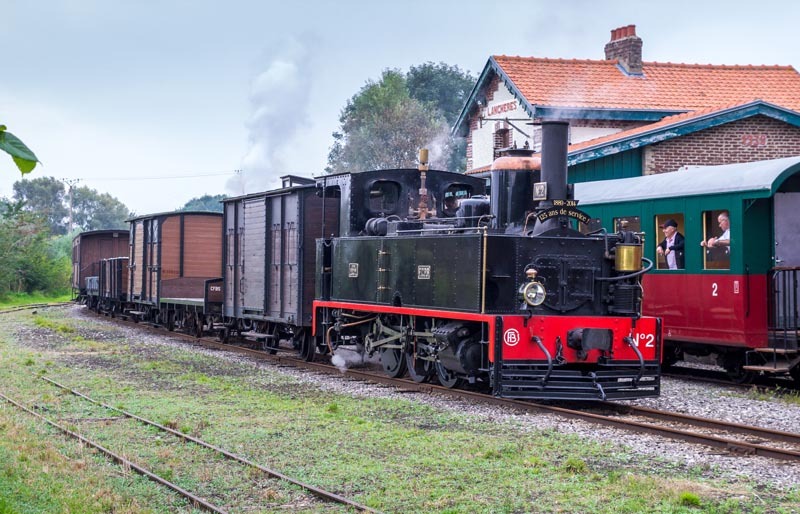 Shortly afterwards the train from St. Valery arrives on the dual trackwork. 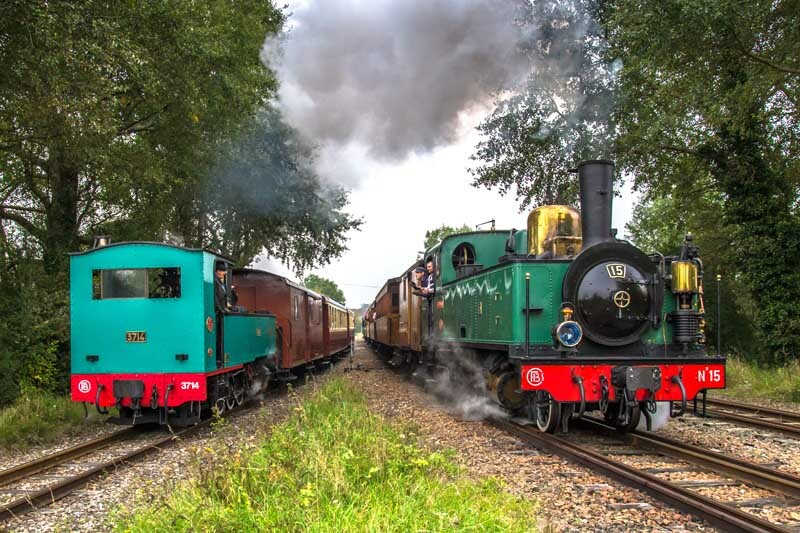 ...No15 takes the dual track to St. Valery whilst No 3714 takes the track to Le Crotoy - a very fine sight! 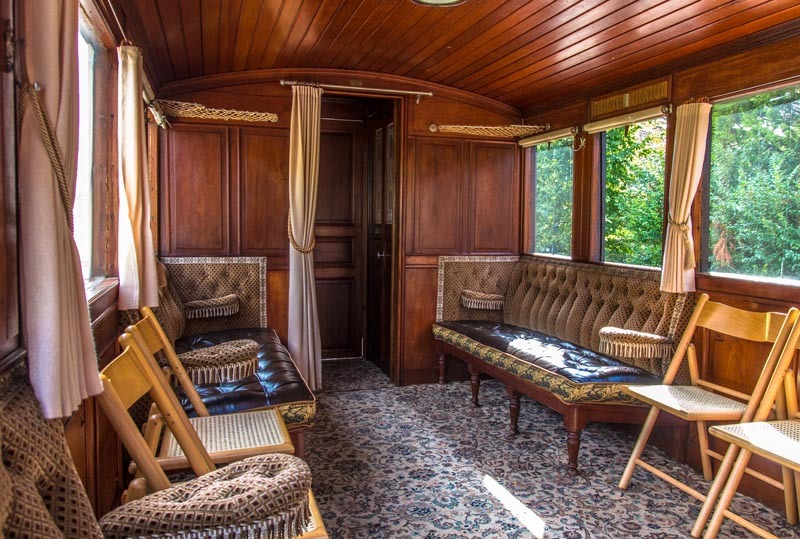 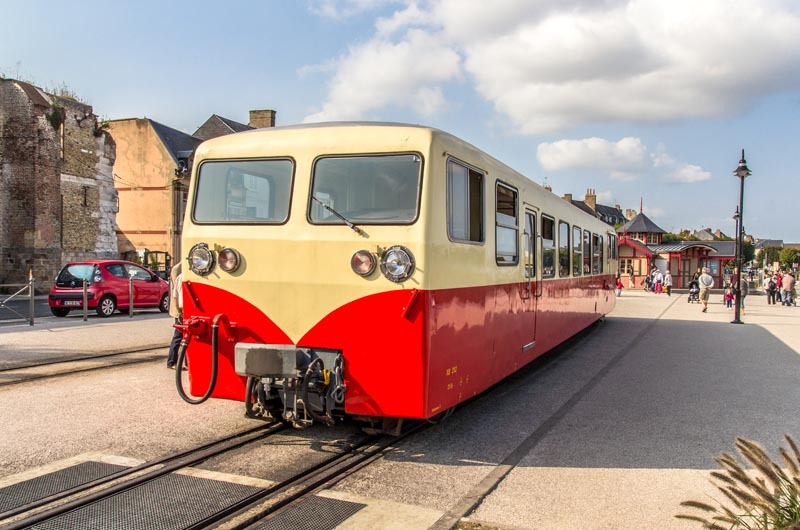 The following day we rode to Cayeux sur Mer in the saloon, seen here, at the rear of the mixed train. 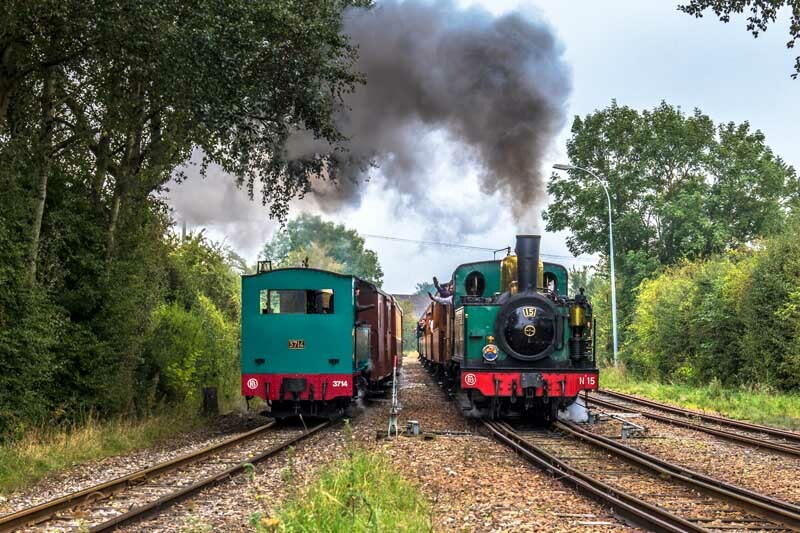 No 15 has is just coupling up to the mixed train having just run roun at Cayeux sur Mer station. 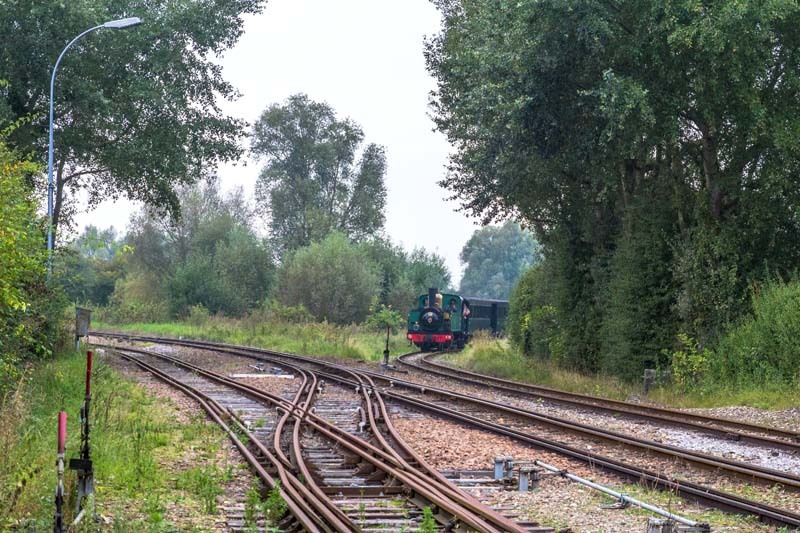 The two passenger vehicles are next to the engine. 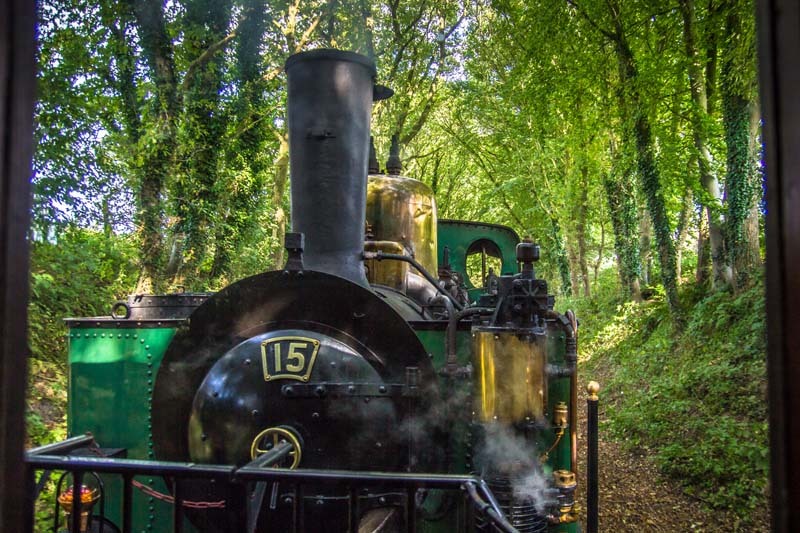 A view of locomotive from the saloon as it begins its descent through the tree-lined section into St. Valery sur Somme. 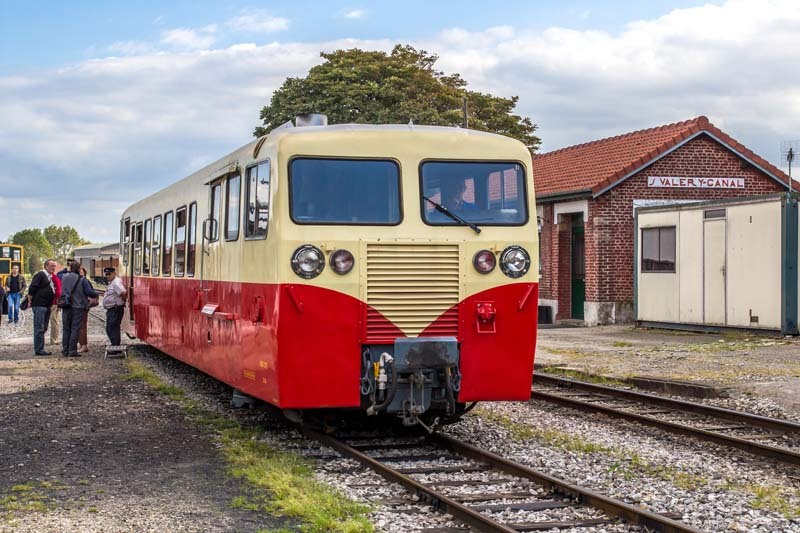 The metre gauge diesel railbus was operating a shuttle service from St. Valery Port & Ville to Canal Depot. 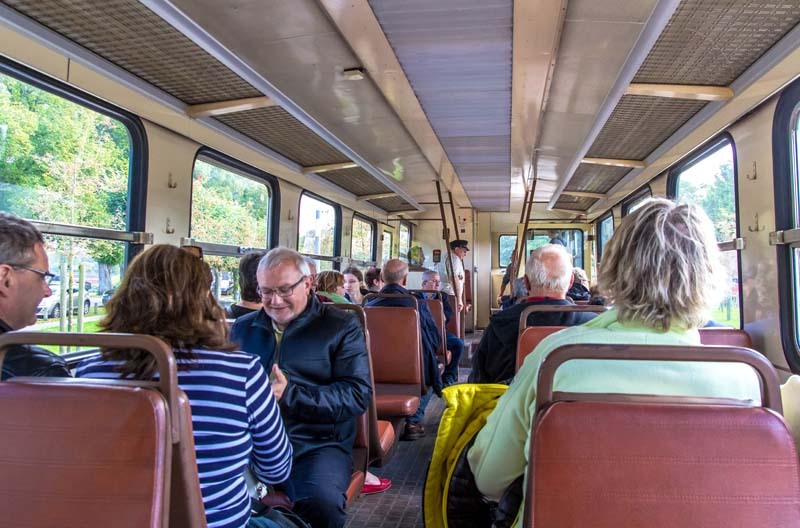 Passengers alighted at St. Valery Canal and were able to join guided tours of the depot. 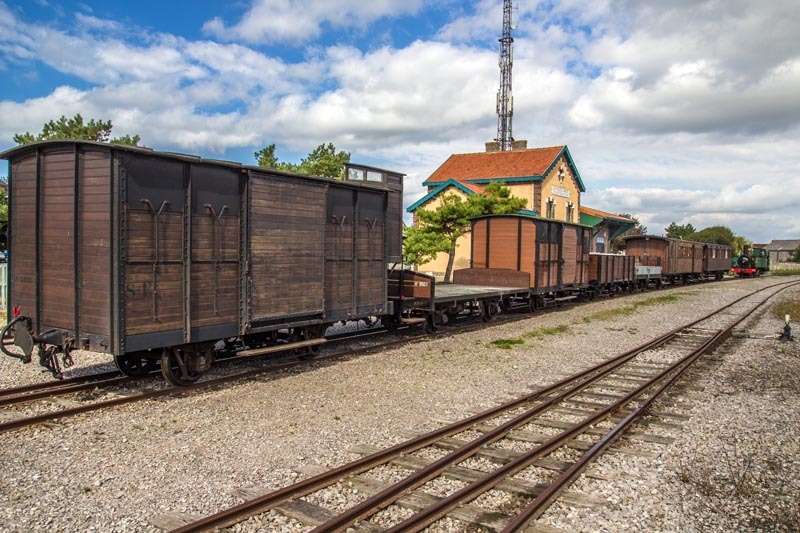 Some of the exhibits outside the shed.